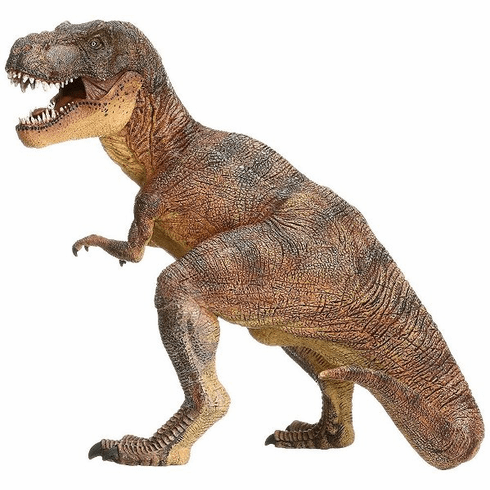 Papo Tyrannosaurus Rex measures approximately 9 inches nose to tail and stands approximatley 6.5 inches tall. "Tyrannosaurus" means "tyrant lizard" and "Rex" is Latin for "King". Thus you have "Tyrant Lizard King" which is a great description! The Tyrannosaurus Rex had such a long tail to counter balance its large, heavy head. The Papo Tyrannosaurus Rex #55001 is part of the Dinosaur Series by Papo.